Purchase a package and save even more​ off our already low prices! Unlike large chain establishments, we do not require a contract. ​We want you to come back because you want too, not because you have too. Now seeing clients in East Providence location on Tuesday and Wednesday. This shorter session is good for a quick reset of postural muscles during your work day. This is especially important if you have a more sedentary career with a high percentage of your day at a computer or on a phone. This shorter treatment time is also good if you have a specific muscular complaint that would benefit from more frequent focused work. This is typically a whole body health maintenance or stress reduction treatment with focused work where needed. The treatment is ultimately driven by your needs and wants during the hour. If you want to spend the entire hour working on an old knee injury that still pains you, let us know. During the treatment we will use a variety of techniques including acupressure, Swedish and deep tissue as needed. No, we don't charge you more for deep tissue. This longer treatment is ideal for whole body health maintenance and stress reduction with plenty of time left for focused work where needed. This is the option for you if you want the whole body addressed as well as need some trigger points (knots) worked out. This treatment will also incorporate a variety of techniques including passive or assisted stretching as needed. You tune up your car or bike so you can get around with out breaking down. So save some money and buy a package and schedule your body maintenance visits ahead of time instead of waiting for a physical breakdown.  Purchase a package to complement any current physical therapy, acupuncture or chiropractic treatments and take an additional $20. off the package. Just have your physician or therapist give you a script with your diagnoses so we can work as a team toward your treatment goals. On a tight schedule or just don't feel like leaving your home? We can bring a table to you. We do house calls in the greater Providence area for an additional $25 to cover travel and set up time. Call or message us with your zip code to make sure we go to your neck of the woods. *Not available for 30 minute treatment.